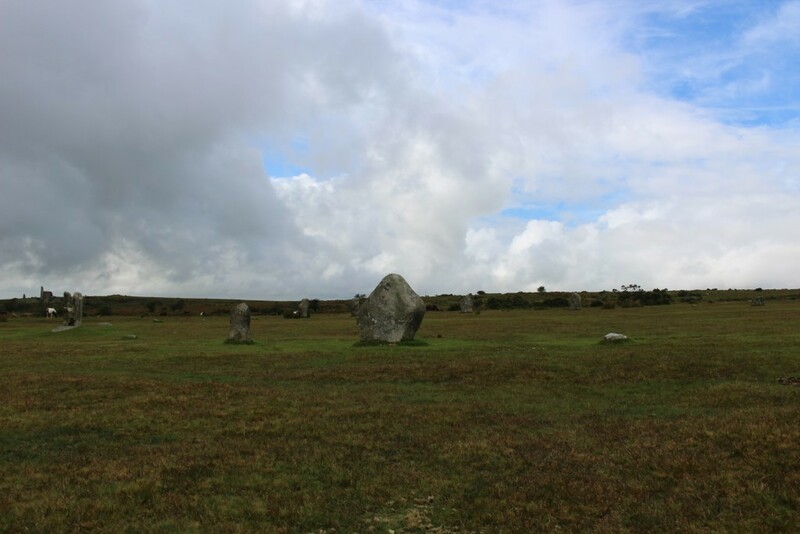 On 16 September 2015, during a brief visit to Harlyn in north Cornwall, I set out in the morning in search of Trethevy Quoit on Bodmin Moor. 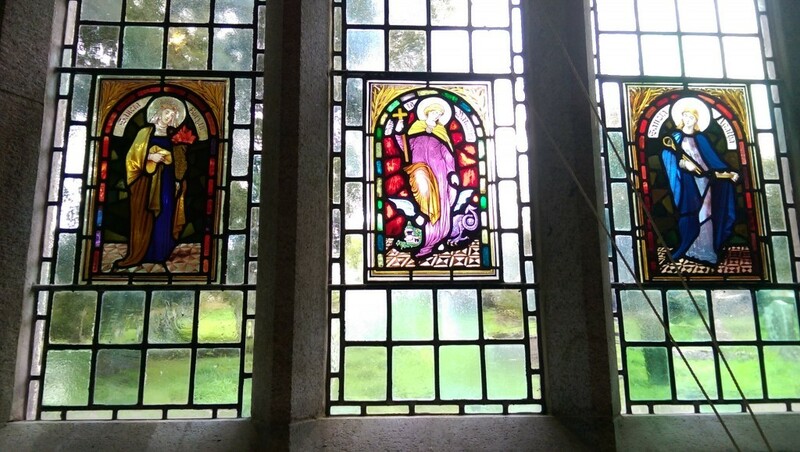 As soon as I entered the environs of Bodmin, the weather shifted from earlier sunshine on the coast to sunshine and showers, with an occasional blustery wind accompanying the rain. Rather than religiously consorting with a map, I motored on with a broad idea of where I was heading, and followed my nose. The first site I happened across that morning was King Doniert’s Stone, Men Myghtern Doniert. 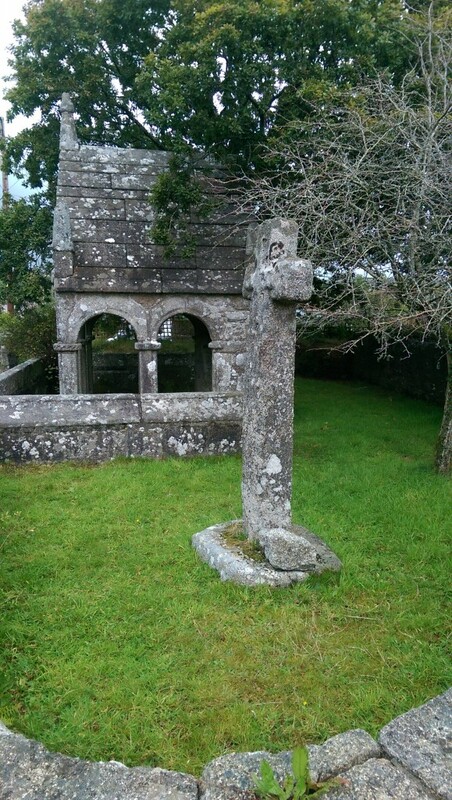 These two granite cross bases are decorated in late 9th century style and probably date from that time. 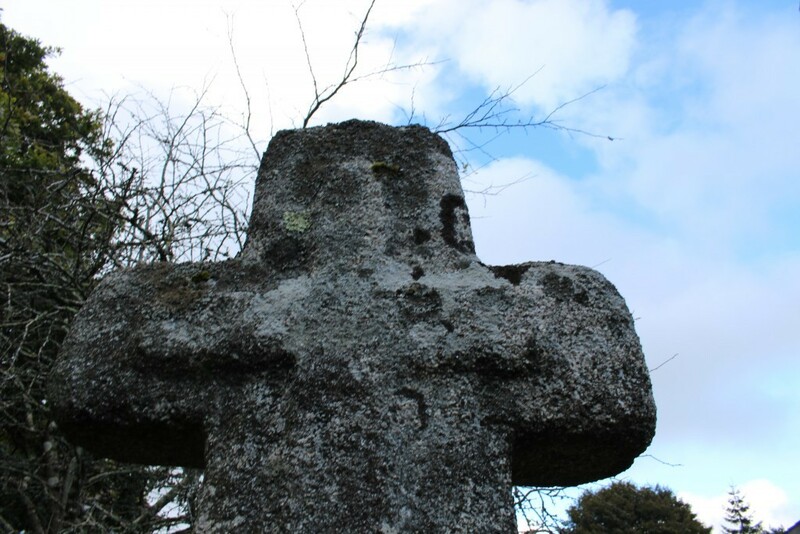 The shorter stone carries a Latin inscription, Doniert Progavit Pro Amina, meaning “Doniert ordered (this cross) for (the good of) his soul”. Doniert was probably Durngarth, King of Cornwall, who was drowned in the River Fowey whilst out hunting in either 872 or 875 AD. 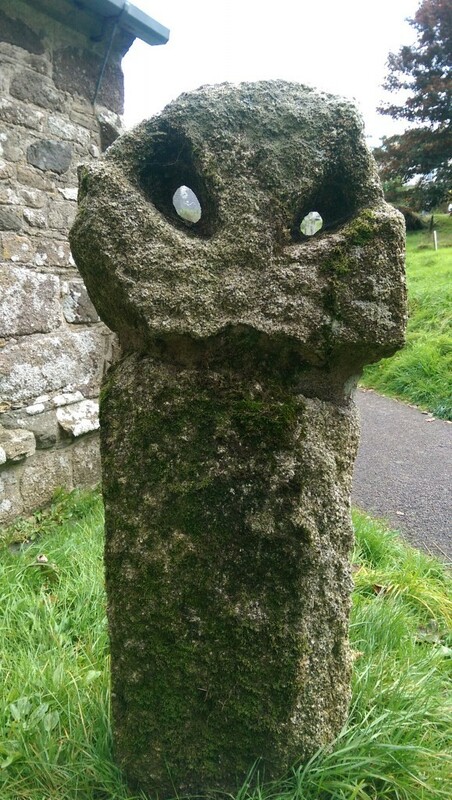 The two stones have rectangular sockets on their tops and probably carried wooden crosses. 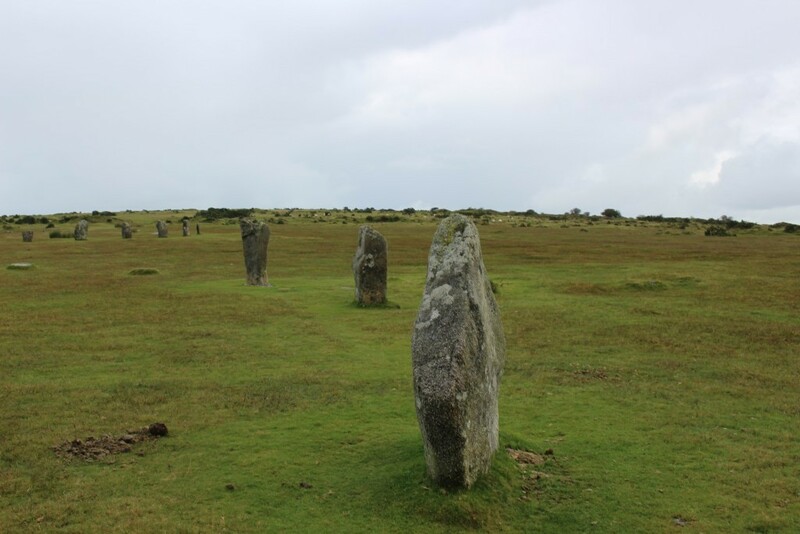 The next site signposted was The Hurlers Stone Circles. As I pulled up in the public car park, grey clouds were increasingly eating the remaining pockets of blue sky. 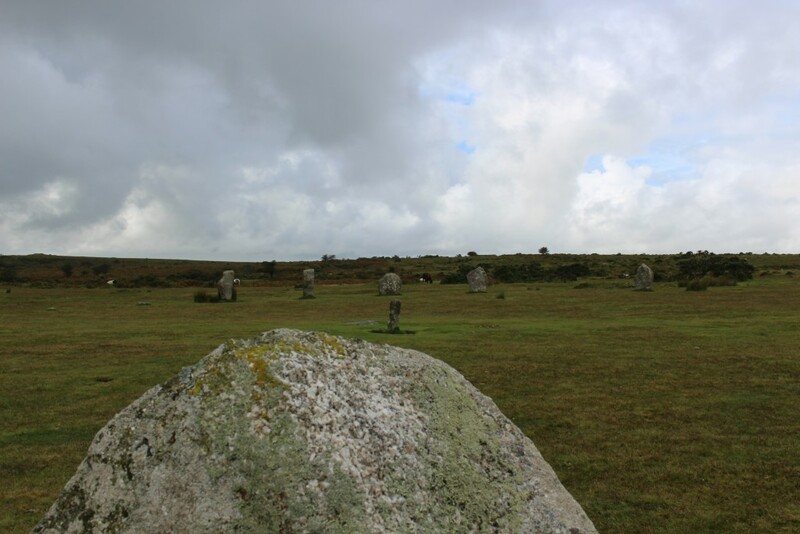 I made the short walk from the car park across the moor to the stone circles. On the final approach to the stones, a heavy shower of rain fell from the sky, and I took temporary shelter under a tree beside a nearby field. 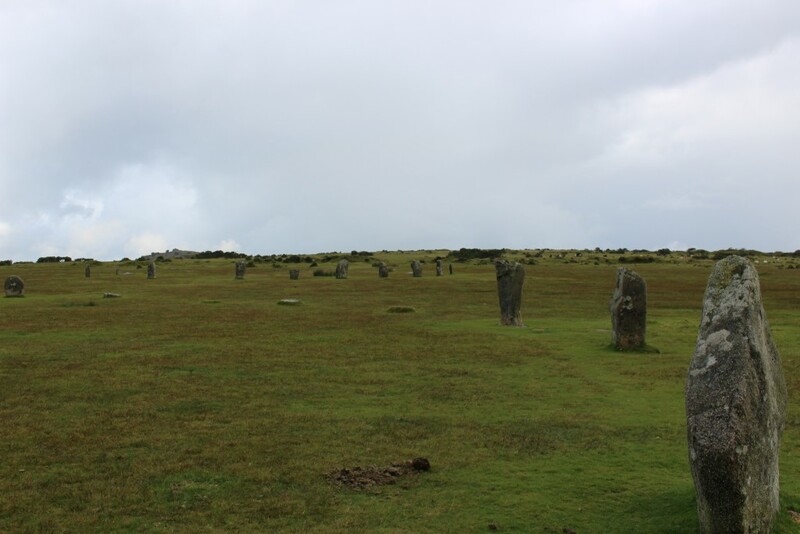 More on the Three Hurlers stone circles here, and on The Megalithic Portal here. 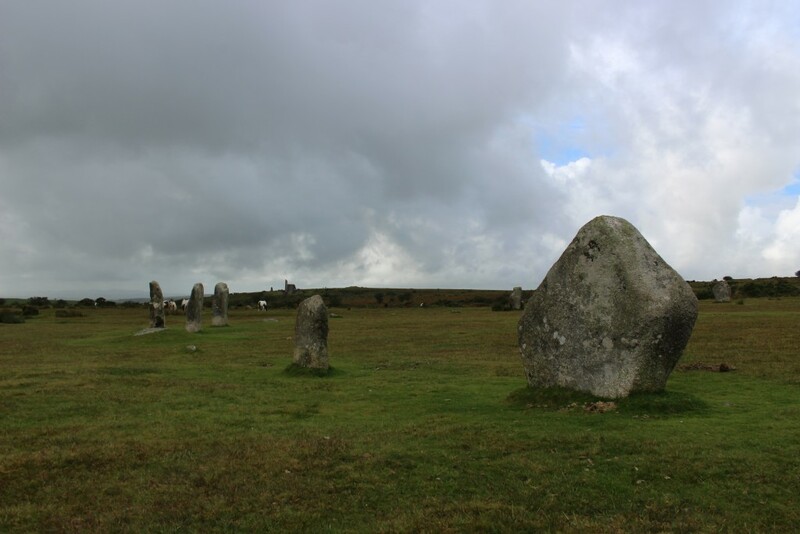 A pathway was laid between two of the stone circles approximately 4000 years ago, which is described in further detail in a BBC article here. Another shower of rain broke overhead, and I returned to my car to sit it out. 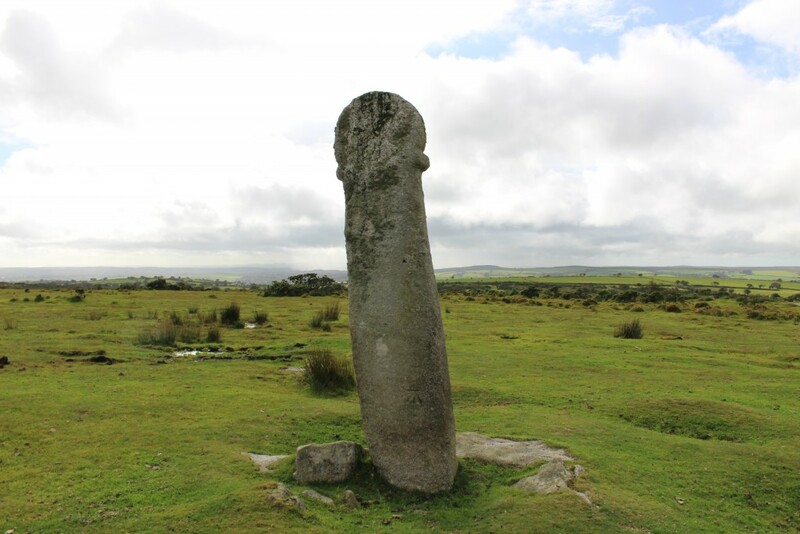 During the long period of rain that ensued, I took the opportunity to eat my lunch in the car, and as it subsided, drove the short distance to The Longstone or Long Tom Cross, standing in afternoon bleak isolation on Bodmin Moor. 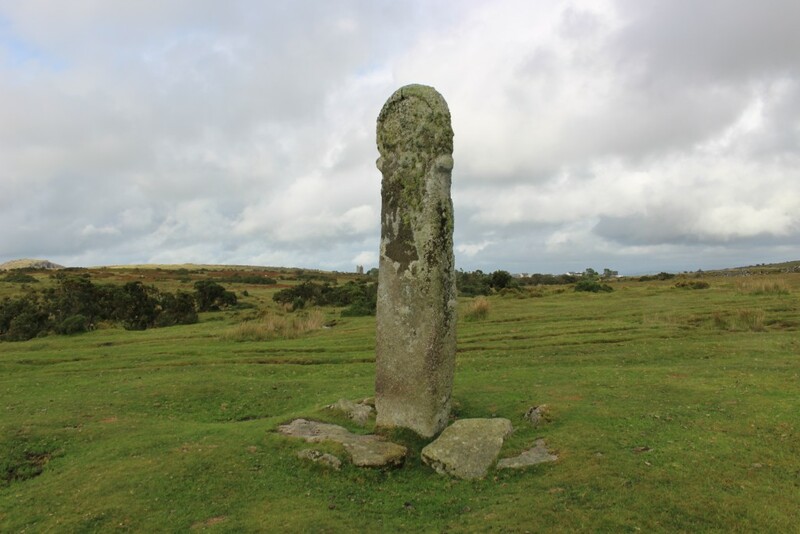 It stands besides the road to Minions and may once have been a standing stone or menhir which was Christianised with the carving of a cross on its face. 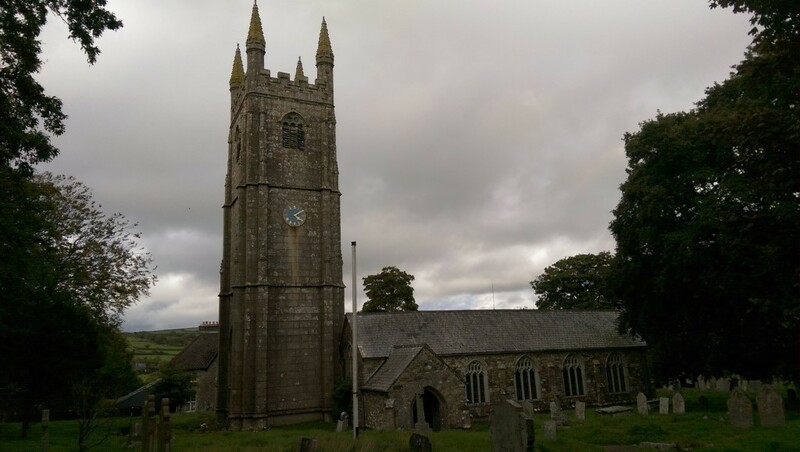 The three sites above are in the Parish of St Cleer, which has been inhabited for more than 6000 years and is one of the larger Cornish parishes. For thousands of years metal ores have been dug from the ground in this parish. First it was tin ore from open works, and later copper ore from deep mines. At this point I decided to visit the village of St Cleer and specifically the parish church. 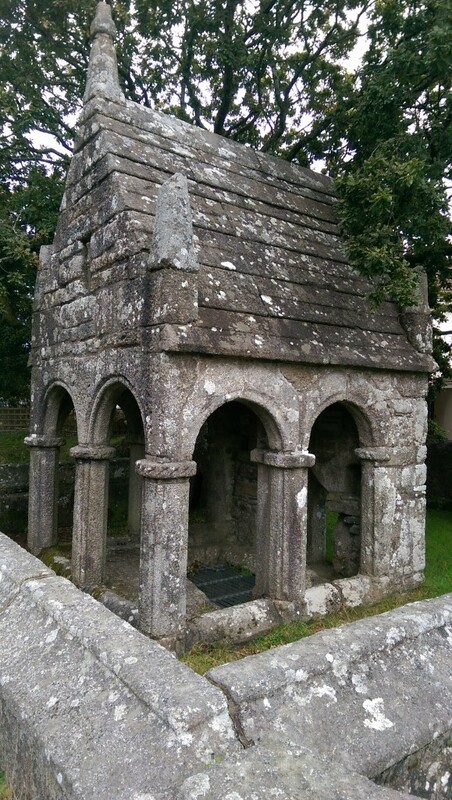 The oldest parts of the church are the north doorway and the font, which are Norman. The church was rebuilt towards the end of the 13th century and the north aisle added in the 14th century. 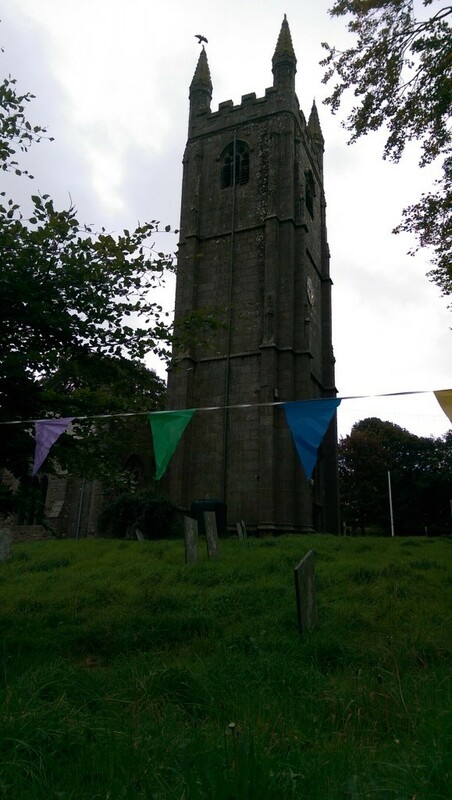 The tower is 15th century and 87 feet high. I am grateful to the ladies who were inside the church preparing for a craft fayre for a welcome cup of coffee that afternoon. 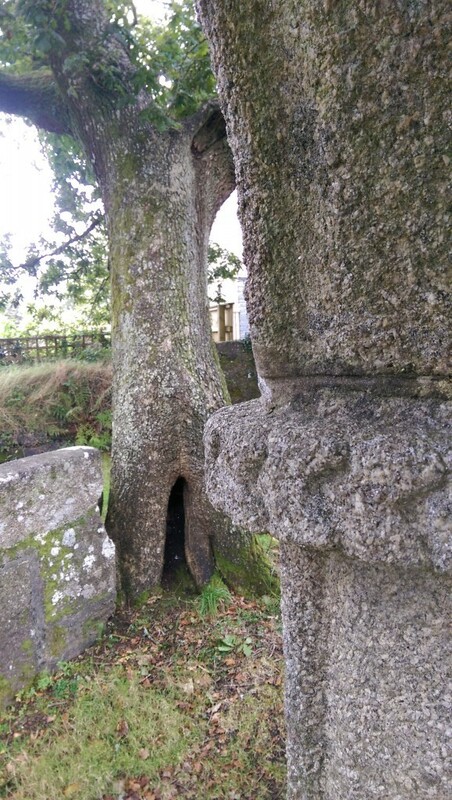 The stone below stands beside the entrance to the church. 500 yards to the east of the church, down Tremar Coombe on the right-hand side of the road, is the holy well of St Cleer, where a missionary priest spreading word of the Christian faith would have first baptised local people with waters of the spring. The baptistry now standing was built in the 15th century, and originally consisted of a walled cistern 10 feet square. There was a dipping or bowsening pool into which epileptic and sick persons were violently dipped for their cure. During the reformation, the well buildings fell into ruin and as the passing road encroached on the outer cistern, it was filled in. In 1858 Lieut. Henry Rogers R.N. purchased the whole plot from a local miner. Water still flowed from the well into the bowsening pool. A few years later in 1964, Rogers, now a captain, and some of his relatives undertook the restoration of the well by way of a memorial to his grandfather, the Revd. John Jope, vicar of St Cleer from 1776 to 1844. The restoration seems to have been accurate, although some of the stones were missing. The well cistern was completely covered, but is now partially uncovered. By now it was approaching late afternoon. 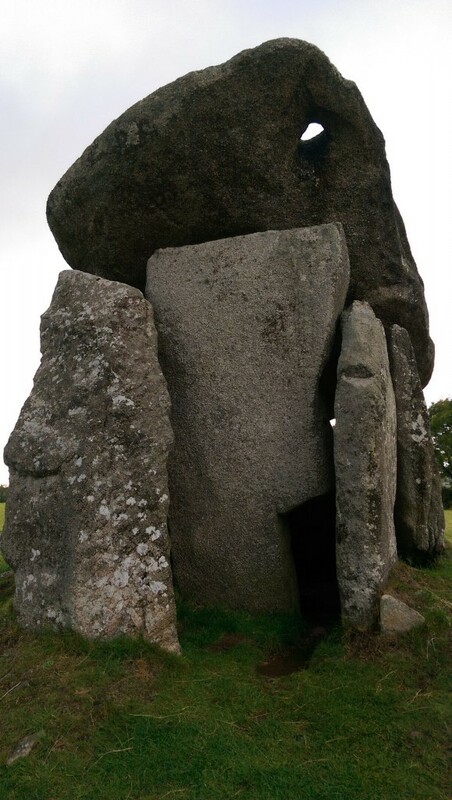 My day had started out in search of Trethevy Quoit, and I had as yet not located the site. From local maps I had seen earlier in the day, I followed my directional ‘gut feel’, and proceeded to drive across Bodmin Moor. In a short period of time, the weather transformed from a largely blue sky to a torrential rainstorm. I pulled the car over in the middle of nowhere, waited for the rain to pass, then followed a different road back to St Cleer. 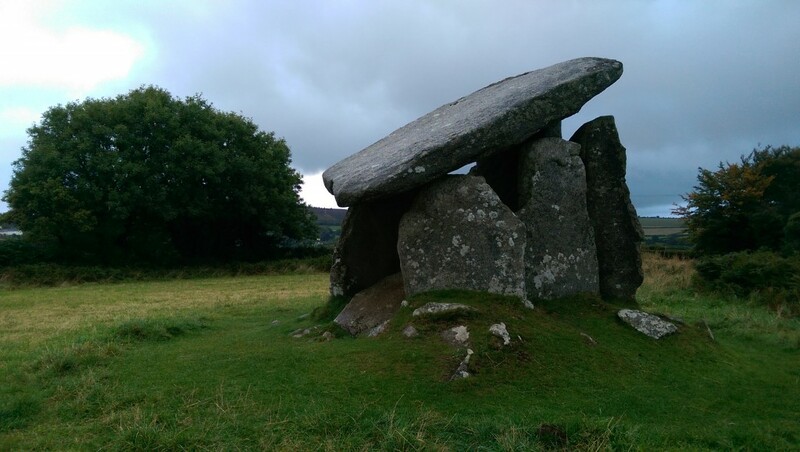 On reaching the village, I ate my pride and asked a gentleman for directions to the Quoit. It was only a half mile distant, up a steep narrow lane, and has one of the most dangerous blind bends I have encountered in recent times. 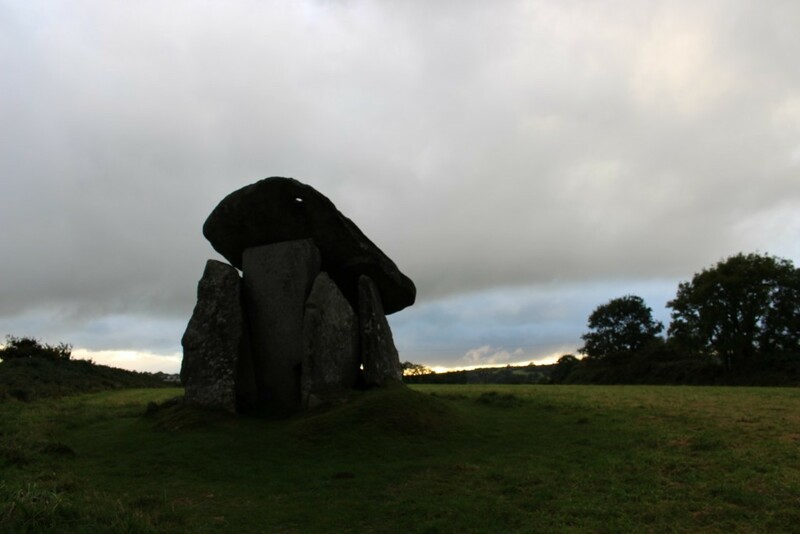 Finally, Trethevy Quoit burst into sight, and it was before darkness fell. 16 September 2015 was the first occasion I have visited the site and my first thoughts on seeing it rising up before I walked through the entrance gate was ‘Wow that is big’. 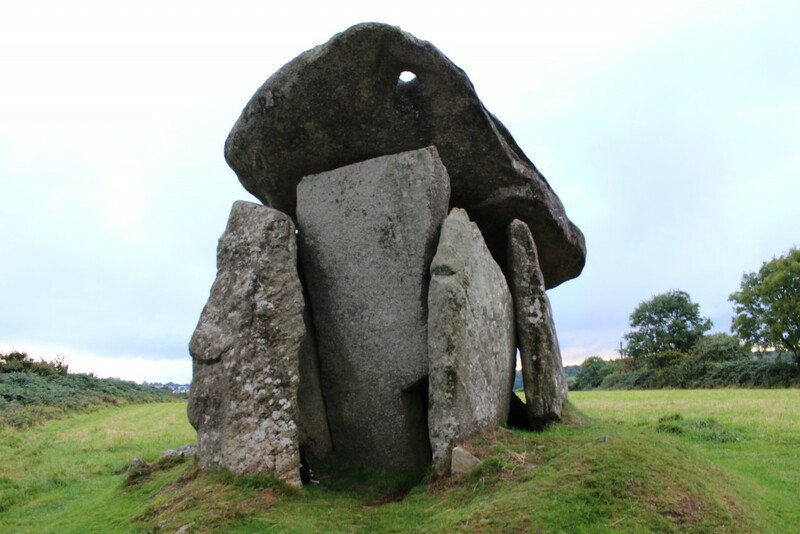 The chamber of upright stones support a massive capstone that weighs 20 tonnes, and was built nearly 6000 years ago. 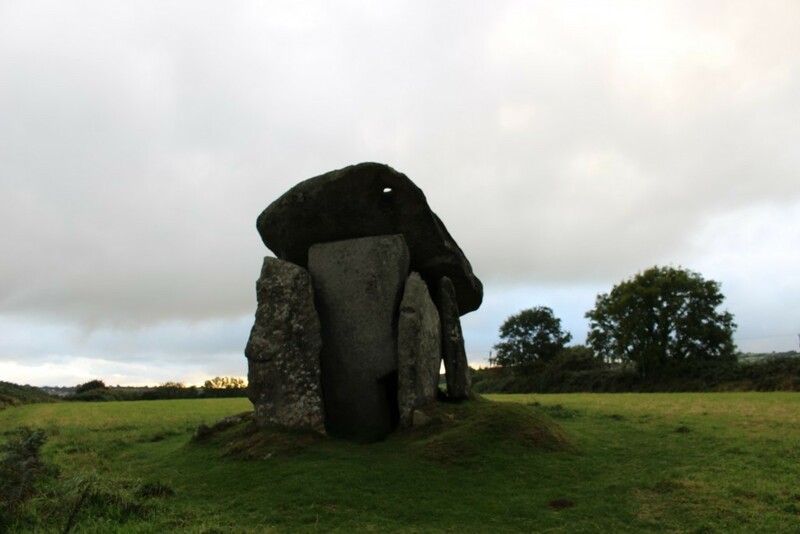 Trethevy is known locally as ‘The Giant’s House’, and is described in more detail here and on The Megalithic Portal here. 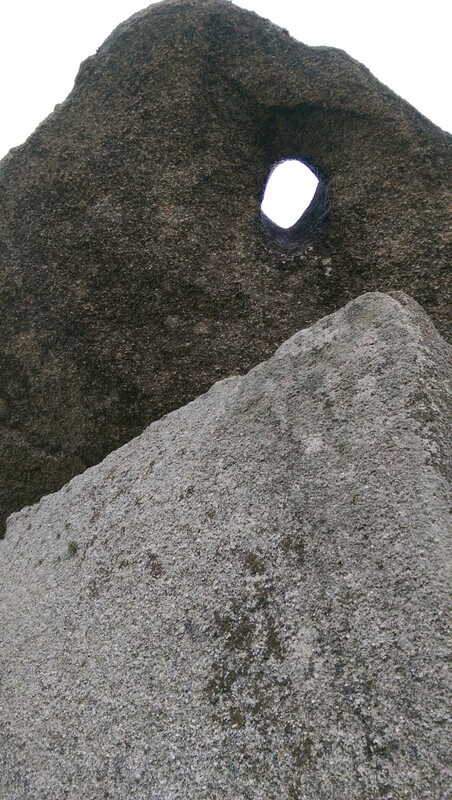 Above is a curious hole drilled in the capstone, which — it has been speculated — may have defined an astronomical link. 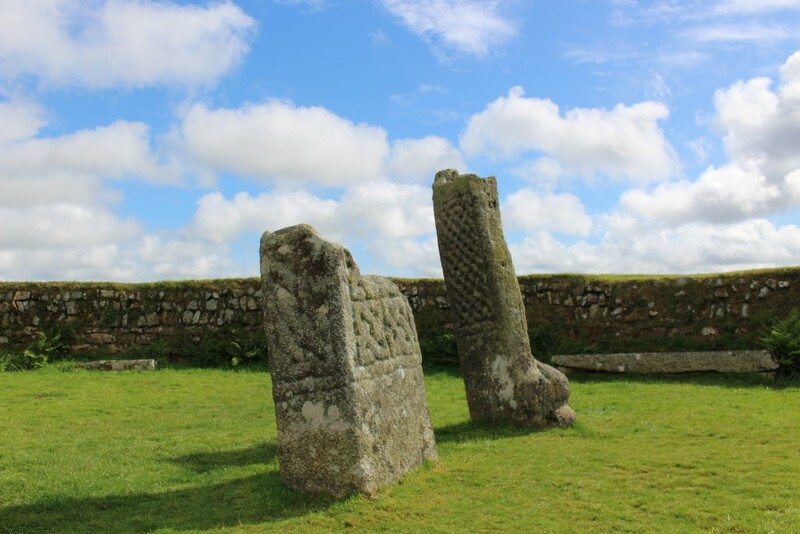 According to legend, giants hurled these stones together in a game of quoits. Dedicated to my family, who nurtured a deep love of Kernow from earliest memory, a county that feels naturally like home.